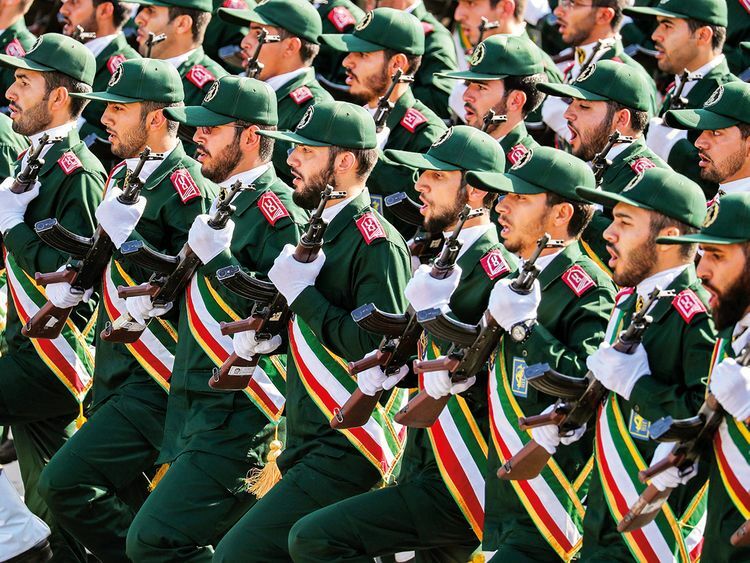 Washington - The US is expected to designate Iran’s elite Revolutionary Guards Corps a foreign terrorist organisation, three US officials told Reuters, marking the first time Washington has formally labelled another country’s military a terrorist group. The Islamic Revolutionary Guard Corps (IRGC) is Iran’s elite military force whose primary function is not to defend Iran against foreign aggression but to protect the regime from internal and external threats. A 125,000-man force, the IRGC was established at the end of Iran’s 1979 revolution as an elite armed militia whose role was sustain and protect the shaky clerical government that took over after the fall of the Shah’s regime. The new rulers saw many of the generals of the traditional Iranian military – known as the Atresh – as still being loyal to the exiled Shah. The Quds Force is the foreign operations unit of the IRGC, and is led by Brigadier General Qassem Sulaimani, who has emerged as one of the most powerful figures inside Iran. It was established during the Iran–Iraq War (1980-1988). To this day, its biggest undertaking is helping establish Hezbollah as a formidable fighting force in Lebanon, following the 1982 invasion by the Israeli regime. The force has been Iran’s primary military actor in neighbouring states, particularly Syria, where it helped prop up the regime of Bashar Al Assad, and Iraq, where it supports a coalition of powerful Shiite militias collectively known as Hashd Al Shaabi. It also backs Al Houthis in Yemen. In 2007, the US Treasury designated the Quds Force as a terror organisation. The ‘Basij Resistance Force’ is a volunteer paramilitary organisation operating under the aegis of the IRGC. It is an auxiliary force that is entrusted with helping sustain internal security, law enforcement, and special religious or political events and morals policing. The Basij, numbering 90,000, have branches in virtually every city and town in Iran. The Khatam Al Anbiya is an extraordinarily powerful conglomerate that has often been seen as the economic arm of the IRGC. Some have even referred to it as an armed business enterprise. It is a giant holding company with control of at least 800 firms both in Iran and abroad, and it is the recipient of billions of dollars worth of government contracts, often without a tender system. However, some experts caution against seeing the Khatam Al Anbiya exclusively as the financial wing of the IRGC.